UCL researchers, Ian Hamilton, working with colleagues Peter Mallaburn and Gesche Huebner, have contributed to a recent report that highlights the potential use of Energy Performance Certificates (EPC) by mortgage lenders can contribute to a more accurate assessment of home energy bills could mean maximum mortgages lending could vary by up to £11,500 between the most efficient properties and the most energy consuming homes. 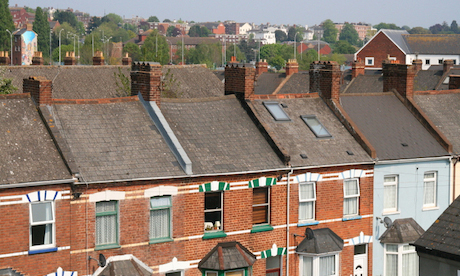 Part-funded by Innovate UK and involving a consortium of industry experts, the LENDERS project set out to demonstrate that improved analysis of the likely household energy costs could improve mortgage affordability assessments and potentially allow mortgage borrowers to access a larger home loan. The project successfully demonstrated and modelled the link between energy efficiency and household fuel bills. As a result, the team was able to create a new consumer calculator to demonstrate the cost benefits of fuel efficiency, enabling would-be buyers to see the benefits of energy efficiency homes. The LENDERS project included the analysis of 40,000 sets of property data, and was undertaken by a consortium of partners: Arup, BRE, Constructing Excellence Wales, the Energy Saving Trust, Nationwide Building Society, Principality Building Society, UCL Energy Institute and the UK Green Building Council. “Mortgage lenders can play an important role in increasing the value of energy performance and improving the quality of EPC data to help shift an increased investment in energy efficiency in UK housing. I can envision a time when lenders will offer any mortgage with an additional amount to invest in increasing the home energy efficiency because it reduces energy bills, which are used to pay back the loan."